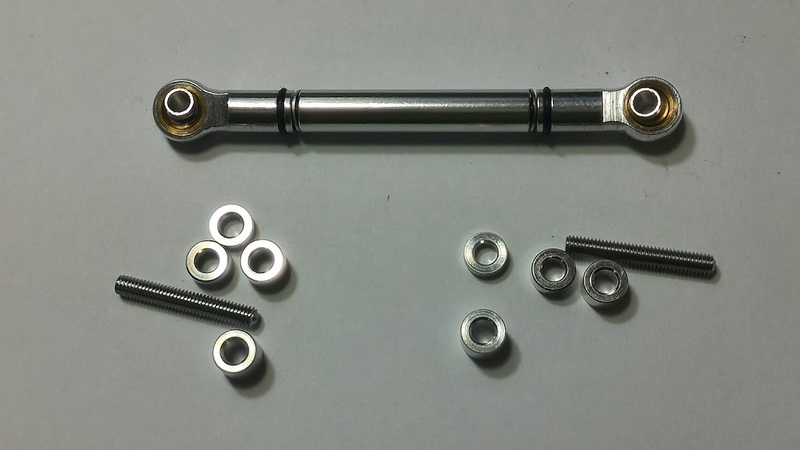 64~74mm aluminum solid link rod with ball end. This link rod is fit on build truck link to axle. 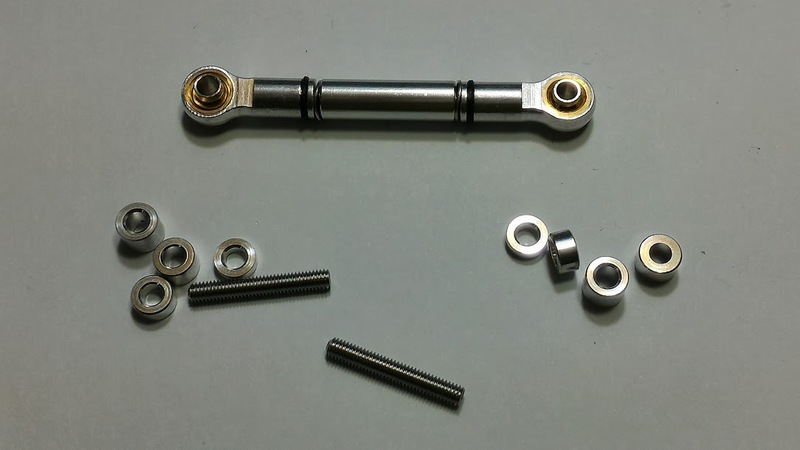 This link rod has possible adjust the length 64~74 mm. 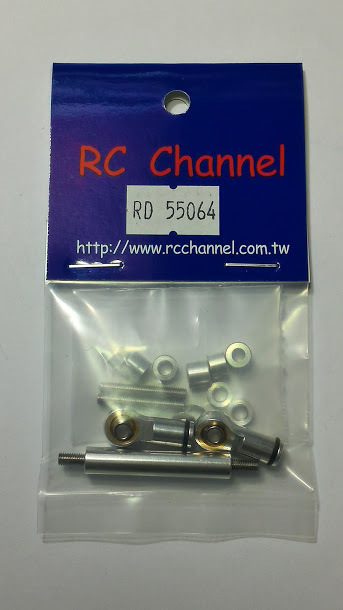 They are use some aluminum washer 2mm/3mm/4mm/5mm to adjust the length. 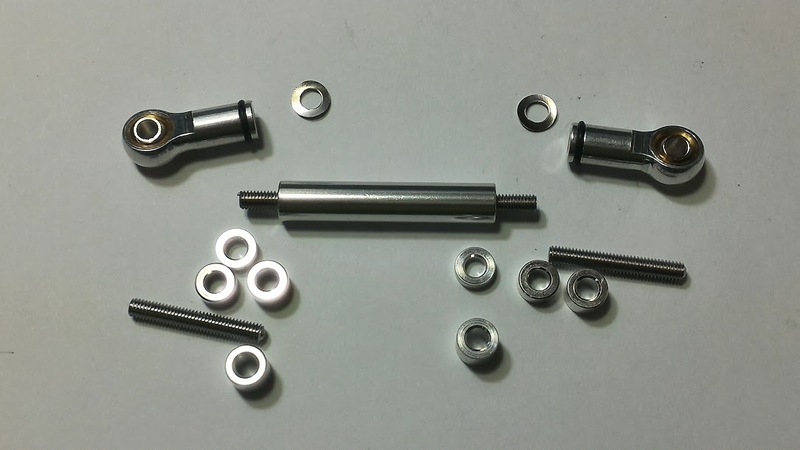 1 x 32 mm aluminum solid link rod with M3 Threaded Holes. 2 x M3x15 mm grub screw. 2 x M3x20 mm grub screw. 2 x 2 mm aluminum washer. 2 x 3 mm aluminum washer. 2 x 4 mm aluminum washer. 2 x 5 mm aluminum washer.